Heat oven to 350°F. Grease 13x9-inch pan. In pan, break up cookie dough. With floured fingers, press dough evenly in bottom of pan. Sprinkle with 1 cup chocolate chunks; press firmly into dough. 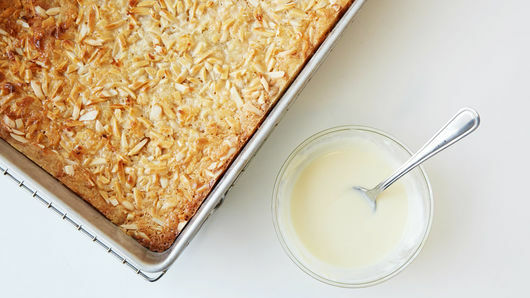 Sprinkle with coconut and almonds; drizzle with condensed milk. 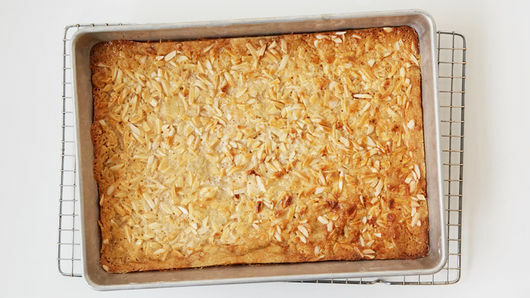 Bake 20 to 30 minutes or until edges are golden brown and top is lightly browned. Cool completely, about 1 hour. 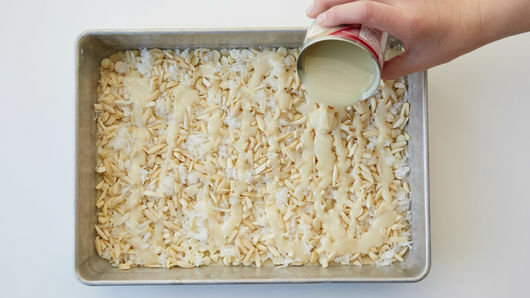 In small microwavable bowl, place remaining 1/2 cup white chocolate chunks and oil. Microwave on High 45 seconds. Stir until smooth. If necessary, microwave an additional 15 seconds. 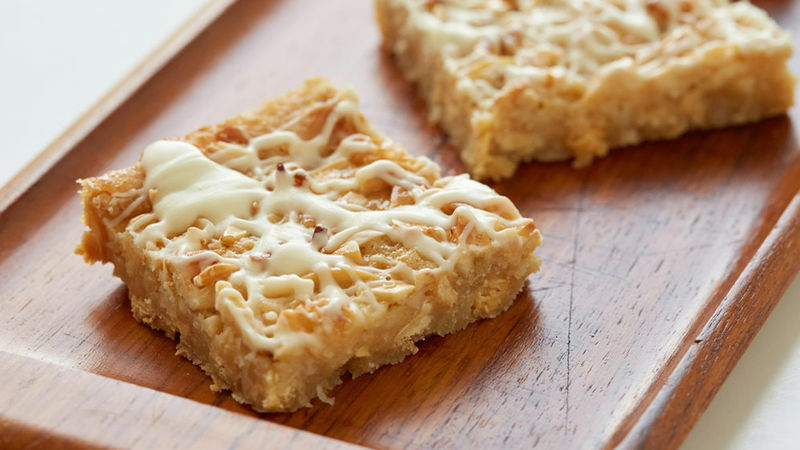 Drizzle over bars.